Wednesday was not a fun day for me. My son, the IDF Serviceman, was trying out for an elite IDF combat unit. Imagine hearing this on the radio all the while knowing that your son is there. 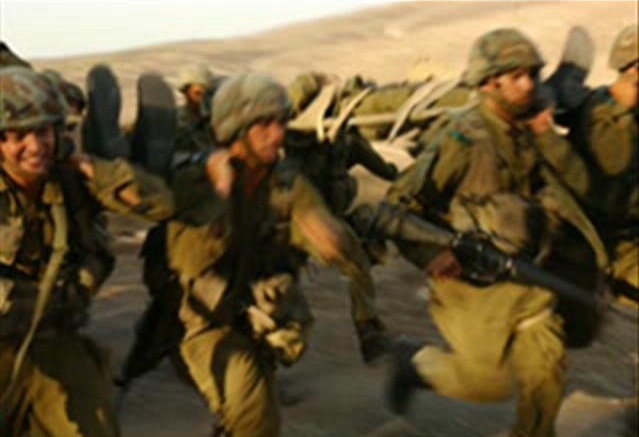 "An IDF serviceman died on Wednesday morning after collapsing during a training exercise at a southern army base on Wednesday morning. He collapsed on the final day of a grueling four-day trial in the Negev desert for entry to an elite IDF unit. Medics tried in vain to resuscitate him at the scene. He was evacuated to Yoseftal Hospital in Eilat, where he was pronounced dead. The soldier reportedly collapsed while training near his fellow recruits. The head of emergency medicine at Yoseftal Hospital reports that he had suffered a heart attack that was most likely unpredictable — similar to the deaths of otherwise healthy athletes during sporting events. The IDF Ground Forces command and the chief medical officer launched an investigation into the causes of the soldier’s death." The IDF Spokesman later released his name. Godspeed Cpl. Joshua Chefetz. Eventually my son called to let us know that he was ok.
My condolences to Cpl. Joshua Chefetz's family and thanks to G-d for keeping my son safe. If you'd like to make a donation in memory of Cpl. Joshua Chefetz, please go here. I am frequently asked to write reviews on gear by a manufacturer or store. Some send me the stuff, others invite me to the factory to see it made or to the range to see it (and try it out) in action. If you have a blog or website and would like to post reviews in exchange for free stuff, send me an email and I'll forward your information to my friends. To say that I'm a fan of the Glock 17 pistol would be an understatement. I carry mine every day. Yup. 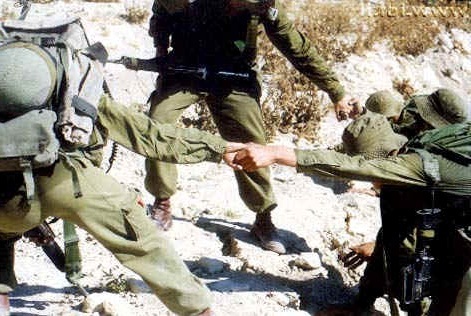 In my IDF uniform. In my civies. To synagogue on the sabbath, and during the week. To work. Around the house. You name it, if you see me around, you'll see my Glock 17. I open carry on my belt or in a drop leg / thigh rig. I tactically train with it too. I've had this particular Glock pistol for over 10 years and fire thousands of rounds through it every year. 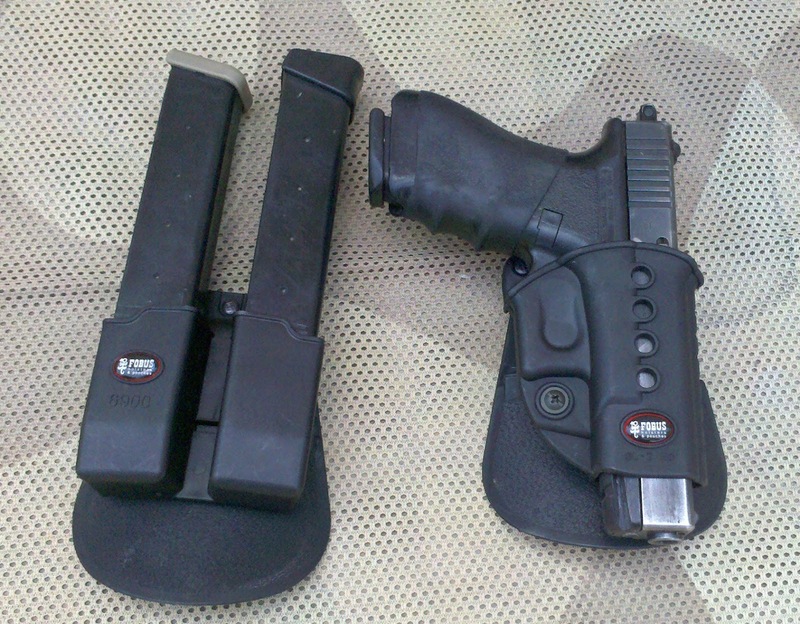 In back when I was looking for a holster for my new Glock 17 and found the Fobus line of holsters. 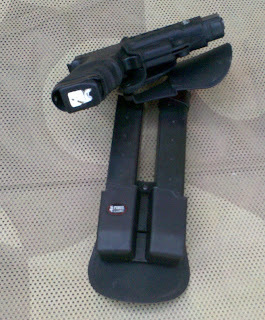 I bought a Fobus holster for my Glock 17 and a double magazine pouch for my 2 double stack 33 round Glock spare mags. Over the years as my training progressed and my carry styles changed, I've added a few more to my kit. I now own 3 different Fobus holsters for my Glock 17, and Mrs. DoubleTapper owns 2 for her Glock 26. The Glock 17 Fobus Evolution Paddle Holster fits my Glock 17 perfectly and provides tunable retention via an adjustment screw. The holster body is one piece polymer construction and is riveted securely to the rubberized paddle insert. The Paddle itself is covered on the outer facing side with a red gel tab which provides retention to the body curve . Using it is extraordinarily simple, just slide it into your pants or shorts, adjust the retention screw to your draw, and it provides a solid weapon carry platform. Many government and undercover law enforcement utilize the paddle style of holster because they may be required to constantly remove their weapon and holster for security... plus it is very convenient. To improve and speed up the draw and protect sights, the Fobus holster body has a protective sight channel built in so that the front sight never comes in contact with the holster. The Gel tab is grippy enough to hold the gun securely in your pants, but not so much that attachment or removal is a pain. The Fobus Double Magazine Pouch for 9mm double stack magazines is designed similarly to Fobus's Glock 17 holster with the same gel tab insert. The Fobus Double Magazine pouch is a fit for my Glock 17 9mm mags. Initially out of the box firmly without an issue even during rigorous running and tumbling drills. 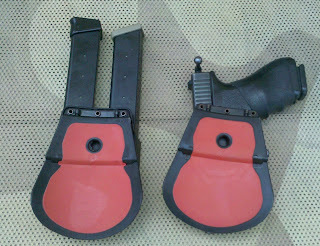 The holster was perfect out of the box and paddle slide into the pants and held securely and comfortably. After years of use and thousands of rounds and hundreds of draws, the Fobus Evolution holster has performed perfectly without any further tuning. I ride a motorcycle daily and was hit from behind doing about 65 mph (100 km/hr) and my mags (and pistol) stayed firmly in place as I was thrown 10 yards, tumbled, and rolled down the highway. I was shocked when I could stand up. I was even more shocked when I realized that my mags and pistol were still right where they belonged! If I've said it once, I've said it... well at least 100 times in other posts, Fobus holsters and pouches are a bargain at any price. They are comfortable, durable and are perfectly designed to fit my Glock 17 (and lots of other pistols). AND they are modular. So you can use them with an optional carry accessories. 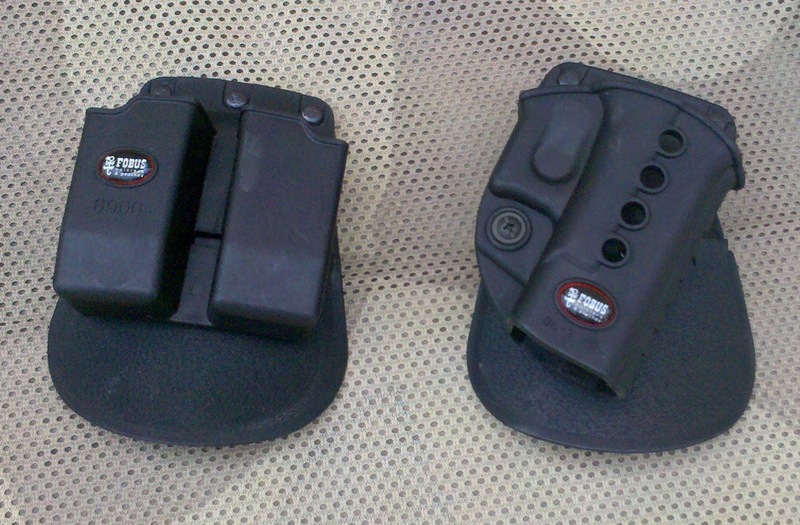 They have a belt slide, drop leg / thigh rig, adjustable belt slide and more. I have them all, so I can use my Fobus Holsters in any situation. I buy my Fobus holsters and pouches here. Stop in and tell them I sent you over!